Safety Education– seminars, forms, etc. Shared Knowledge – individuals or companies sharing knowledge in their area of expertise with other groups, companies, or individuals. Development of Public and Private Partnerships – corporations, businesses, government agencies, schools, media, civic groups, and individuals combining resources to promote safety. Promoting Community Involvement – poster contests, etc. 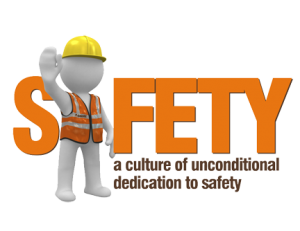 to raise awareness that an individual’s actions determine the level of safety. Increasing Membership – remove the economic barrier, provide services to meet the needs of members, and continually focus on membership. Involvement in all Areas of Safety – fire, water, bicycle, gun, vehicle and traffic, industrial, electrical, tornado, earthquake, prescription drugs, seat belts, child restraint systems, etc. Safety for Life – home, school, work. The April 17th meeting of the Quincy Area Safety Council will be from 12 PM to 1 PM at QBTC, 301 Oak, in the 5th floor conference room. Robert Shattell of Indi-Wind will be presenting on the safety products and services they provide.